Stephen Gadsby is a PhD candidate in the Cognition and Philosophy lab, Monash University. His research spans a number of topics, including anorexia nervosa, body representation, delusions, psychiatric taxonomy, mental representation and predictive processing. 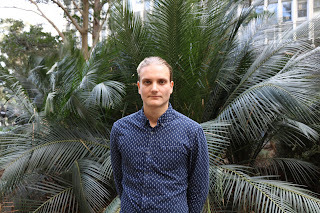 In this post, he summarises his new paper "Self-Deception and the Second Factor: How Desire Causes Delusion in Anorexia Nervosa" recently published in Erkenntnis. Research shows that anorexia patients don’t hold extreme body ideals, despite common misconception. Indeed, most patients are thinner than what they judge their ideal size to be. In this paper, I advance a two-factor explanation for why patients believe they haven’t yet reached their ideal size. This account attempts to answer two questions: how the content of this belief arises and why the belief is maintained in the face of contradictory evidence. Following from previous work (Gadsby 2017a; 2017b), I answer the first of these question by suggesting that patients experience their bodies as larger than reality. By itself, however, this experience is insufficient to explain anorexia patients’ beliefs. Although they experience their bodies as larger than ideal, patients are also exposed to significant evidence suggesting the contrary: that they are (dangerously) thin. This evidence comes in a number of forms such as weight scale and clothes size readings and testimonial evidence from family, friends and clinicians attempting to convince them of their true body size. A second factor is thus needed to explain why this contradictory evidence doesn’t change their mind. In this post I interview Maria Vaccarella on her latest project which concerns illness narratives. 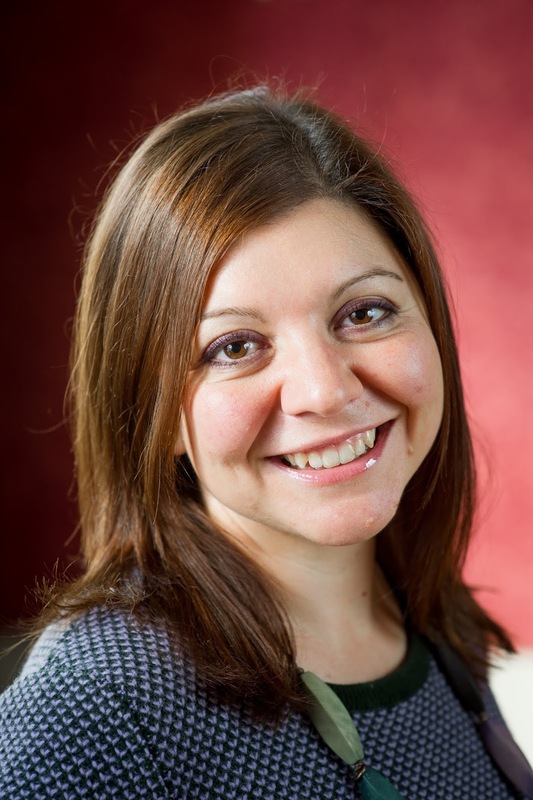 Maria is Lecturer in Medical Humanities at the University of Bristol. She works at the intersection of literature and medicine, and she is a member of the steering committee of the Centre for Health, Humanities and Science. Her current research explores the genre of illness narratives, with a special focus on non-linear and non-triumphalistic plots. She is also interested in narrative medicine, critical disability studies, narrative bioethics, comparative literature, and graphic storytelling. 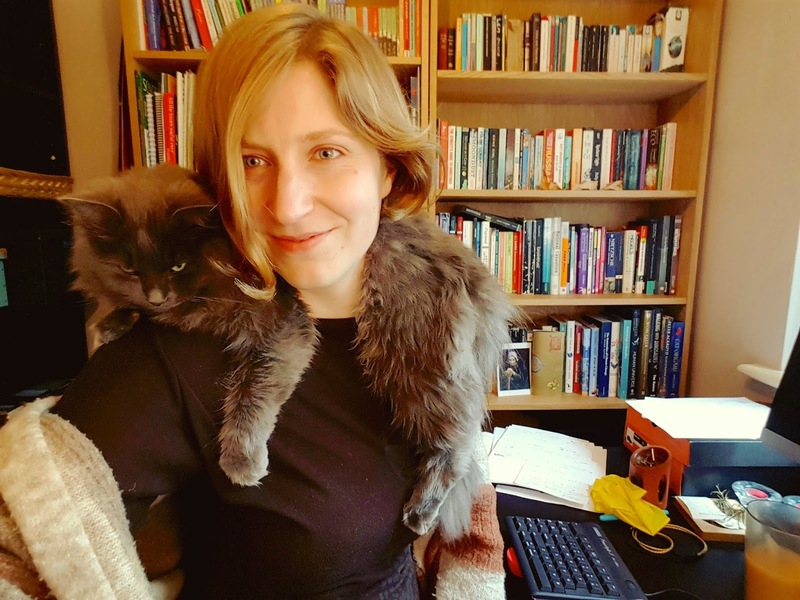 Her current project is “Illness as Fiction: Textual Afflictions in Print and Online” and is funded by a British Academy / Leverhulme Small Research Grant. LB: How did you first become interested in false accounts of illness? MV: About two years ago, I was reading this article on health-related Internet hoaxes during my lunch break and had a lightbulb moment: these illness accounts, whether produced in cases of Munchausen by Internet/factitious disorder or as part of online scams, were an extreme form of the illness narratives I research and teach in my job as a Lecturer in Medical Humanities. This phenomenon has a printed counterpart in books marketed as memoirs and later revealed to be partially or completely fabricated. The best known example is probably James Frey’s best-selling memoir A Million Little Pieces (2003) on his alcohol and drug addiction, selected for Oprah Winfrey's book club in 2005, but later revealed to be only partly true in a tense interview for the same show. As a literary scholar by training, I had many questions on the modalities of this form of self-narration, but they were inextricable from the psychological and often psychiatric aspects of the act of writing in question. 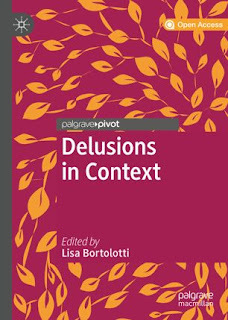 This is how I devised my project Illness as Fiction: Textual Afflictions in Print and Online, as an interdisciplinary investigation of what counts as an illness experience nowadays beyond the clinical environment, without pathologizing, moralising or criminalising intents. LB: Do you believe that the opportunity most people now have to share personal information on the internet (via blogs and fora) has increased the occurrence and the influence of false illness narratives? Or is the internet just another medium for a pre-existing problem? MV: I believe that some very elaborated hoaxes (such as Warrior Eli) can only be created and sustained online: they thrive on platforms dedicated to a specific condition or patient population, but at the same time require the corroboration of multiple social media profiles, which very often feature pictures uploaded on other, authentic profiles. The abovementioned Warrior Eli case provides, for example, a perplexing moral conundrum: the woman behind the false story of Wilm's Tumor patient Eli didn’t make any money out of it or discredit evidence-based therapies – on the contrary, she encouraged her many followers to donate to a real charity. 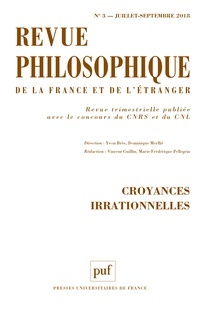 This post is about a paper by Andrea Polonioli, Sophie Stammers and myself, recently appeared in Revue philosophique de la France et de l'étranger, where we ask whether some common biases have any benefits for individuals or groups. Our behaviour as agents can have a multiplicity of goals. These might be pragmatic in nature (for example, fulfilling practical goals such as being well fed). They might be psychological in nature (for example, increasing wellbeing or reducing anxiety). They might also be epistemic in nature, and have to do with the attainment of true beliefs about ourselves or the world. Epistemologists have identified different notions of epistemic attainment, and different senses in which one can fail epistemically by being doxastically irrational. Doxastic irrationality is the irrationality of beliefs. It does manifest in different ways and comprises: (a) beliefs that do not cohere with each other and violate other basic principles of formal logic or pro- bability theory; (b) beliefs that are factually erroneous; (c) beliefs that are not well-supported by, or responsive to, evidence; (d) beliefs that are poorly calibrated because people assign inaccurate degrees of confidence to them; (e) beliefs that are well integrated in people’s behaviour. In this article we are interested in the effects of some biases leading to doxastic irrationality on individual agents and groups of agents. So, doing well epistemically can mean fulfilling epistemic goals such as: (a) having beliefs that cohere, and which are based on principles of formal logic or probability theory; (b) having beliefs that are factually based; (c) having beliefs that are well supported by, or responsive to evidence; (d) having well calibrated beliefs; (e) having beliefs that are well integrated in people’s behaviour. Agents’ behaviour may be assessed negatively when it fails to satisfy the epistemic goals above, or other epistemic goals such as attaining beliefs that encourage exchange of information with other agents, or developing an intellectual virtue such as curiosity or honesty. But there are other reasons why a behaviour may be negatively assessed, for instance by failing to fulfill other types of goals (pragmatic or psychological). Sometimes, an instance of behaviour can succeed at fulfilling some goals and fail to fulfil others. Furthermore, new costs and benefits may emerge when the behaviour in question is assessed in the context of groups to which the agent belongs, rather than simply at the individual level. In the paper, we argue for the need for an analysis that is sensitive to the multiplicity of goals of human behaviour at both the individual and group level, when assessing failures of doxastic rationality. We argue that doing so can reveal some underexplored costs, as well as benefits, that can be pragmatic, psychological, and epistemic in nature. Examples of practices that may lead to doxastic irrationality include the overconfidence bias, biases about one’s own and other social group(s), and optimistically biased beliefs about the self. 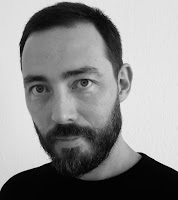 Mohammed Abouelleil Rashed is a Wellcome Trust ISSF Research Fellow in the Department of Philosophy, Birkbeck College, University of London; and a Visiting Lecturer in Philosophy at King's College London. He studied medicine at Cairo University Medical School, then trained in psychiatry in London on the Guy's, King's College, and St. Thomas' Hospitals training scheme. He gained a PhD in Philosophy from University College London in 2012, and is now a full-time researcher. Sophie Stammers: Welcome to the Imperfect Cognitions blog, Mohammed! Thank you so much for coming on board to tell us more about your work. As readers will see from the bio above, you trained as a medical doctor, with postgraduate training in psychiatry, and have clinical experience in this area, as well as pursuing research in the philosophy of mental health. How did you become interested in philosophy? Mohammed Abouelleil Rashed: Thank you, Sophie. I became interested in philosophy during my fourth year at medical school at Cairo University. I had come across Leo Tolstoy’s A Confession – a short autobiography where Tolstoy, then in his early 50s, reflected on his life during what we would now refer to as an existential crisis. Tolstoy questioned the value of his accomplishments and the meaning of his life, and reflected on ambition and faith, and this, mind you, was at the height of his success: he had published War and Peace a decade before and Anna Karenina just three years earlier. The book had a significant impact on me, especially that I was going through my own dissatisfaction with some of the givens in my life, and with medicine and with medical education, in particular with rote learning and the lack of critical thinking. A Confession introduced me to some of the big philosophical questions, which I then began to read about. In this sense, philosophy, for me at the time, was as much an intellectual as a personal exploration. A few years later during my psychiatric training in London, my philosophical knowledge found a natural home in reflecting on psychiatry and mental health, and I developed my knowledge further by studying philosophy of mental disorder at King’s College London with Derek Bolton. SS: How does your clinical experience inform your current research? MAR: Even though I no longer practice psychiatry, my previous clinical experience is central to my philosophical work both in terms of providing knowledge of mental health phenomena, as well as defining the concerns underlying my research. For example, during my time on the acute wards, rehabilitation units, and outpatient clinics of South London, I had the privilege of witnessing people’s accounts of their lives and their experiences; their detailed descriptions of ‘paranoia’, ‘passivity experiences’, ‘auditory hallucinations’, and other phenomena conveyed to me the richness of these experiences, how much they mattered to people, and the terror that often accompanied them. I was also able to see that while people do suffer cognitive and emotional challenges severe enough to require intensive support, the environment of mental health units and the narratives and therapeutic resources of psychiatry as a medical specialty were not always sufficient, and in some cases were clearly inadequate and even harmful, as a way of responding to these challenges. As Project PERFECT enters its fifth year, here’s a little bit about what I’ve been up to recently, and what I plan to do over the year to come. This year just gone has been our Year of Confabulation: we held our confabulation workshop in Oxford in May, where we were lucky enough to have a programme of researchers from around the world, all at the forefront of philosophical and interdisciplinary inquiry into confabulation; we also co-organised a Confabulation and Epistemic Innocence workshop with Elisabetta Lalumera at Milano-Bicocca. Our special issue on confabulation with Topoi is well underway, and we hope it will be ready for you to read in the next few months. In my own work, I’ve been investigating some under-explored benefits of confabulation, and have developed two papers on the topic this year. In one paper I argue that confabulation can have epistemic benefits because it preserves collective cognitive partnerships; whilst in another I explore the psychological and social value of imbuing our accounts with resonant meaning, as we do in confabulation and other explanation-giving behaviour. I’ve also continued my research on implicit bias, through a co-written paper (with Andrea Polonioli and Lisa Bortolotti) in which we evaluate the epistemic costs and benefits of doxastic biases in group settings. I’ve also got a paper forthcoming in the Educational Theory special issue on “Cheating Education: The Coherence And Desirability Of Technological Human Enhancement In Educational Contexts” where I argue that the opportunity to selectively erase social biases may be beneficial given their propensity to manifest automatically in cognition; but it would also bypass an important opportunity for reflection on the upstream societal sources of bias, and so ought only to be used in conjunction with public discussion of structural injustice. The Royal College of Psychiatrists hosted its Faculty of Neuropsychiatry Annual Conference on 13-14 September 2018 in London. I was fortunate to attend the first day and I am going to report on some of the interesting talks I listened to. In the first session speakers focused on neuroscience for psychiatrists, and Paul Johns, author of Clinical Neuroscience, addressed the functional anatomy of the human amygdala. The amygdala is constantly looking out for dangers and helps us evaluate the emotional significance of events. It facilitates social interactions as it enables us to read other people's minds. 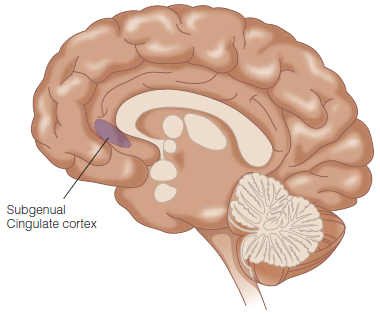 Further, the amygdala is involved in learning and episodic memory for important events. It is responsible for an implicit emotional memory of negative events to help us avoid adverse stimuli. 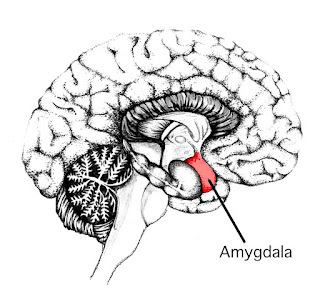 The amygdala is for assessing environmental cues to determine the adequate response to threats. So patients without the amygdala are fearless but it is possible to experimentally induce a panic attack by giving them the impression that they are suffocating. So the amygdala is not necessary for feeling scared (the hypothalamus is). The second speaker, Nandini Mullatti (King's College London), described the role of neurophysiology in mental health settings with a focus on epilepsy. By looking at some patients' history and at the manifestation of unusual symptoms (e.g., a woman claiming "she was losing her face"), Mullatti showed that clinical neurophysiology provides evidence to decide whether symptoms are organic or functional and further has an important role to play in the evaluation of functional symptoms. The third speaker in this session, Oliver Robinson (University College London), addressed the history of neuroimaging in mood and anxiety. He focused on depression (unipolar and bipolar) and showed some inconsistent imaging results about whether these conditions are correlated with increased or decreased activity in the subgenual cingulate region of the brain. We have got to the last year of project PERFECT. In this brief post I will summarise our latest challenges and achievements, and move on to describe our plans for the year to come which we want to make a year to remember! Our research has continued to focus on memory and confabulation, according to plan. We have managed to secure publication for several original research articles. I authored papers on confabulation and the optimism bias, and co-authored papers on memory and delusion. Sophie, Michael, and Valeria will report on their own efforts in the next few weeks! As well as organising and participating in academic conferences and writing articles for specialist journals, we have made a real effort to reach wider audiences. One way in which I have attempted to disseminate our work on cognitions that are imperfect but useful is by writing for Aeon (on dementia and confabulation) and IAI TV (on optimism and the self) and, with Kathy Puddifoot, for the Philosophers Magazine (on memory). There is so much we still want to do and it is not clear that we can do it all in the 12 months we have left, but we will give it a try! We start the academic year with two visitors, Chris Moulin and Krystyna Bielecka, who will certainly help us think outside the box and reflect on interesting issues that are at the core of the project. Chris will be talking to us about deja vu and Krystyna about confabulation. 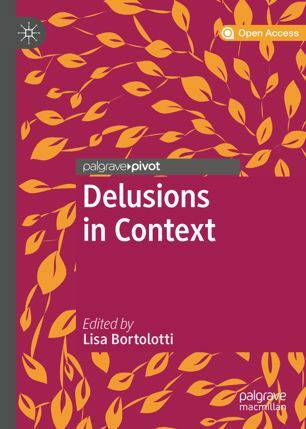 In October we have planned a little celebration, a book launch, for our forthcoming publication, Delusions in Context, a book for Palgrave Pivot. The electronic version will be open access for you all to enjoy! 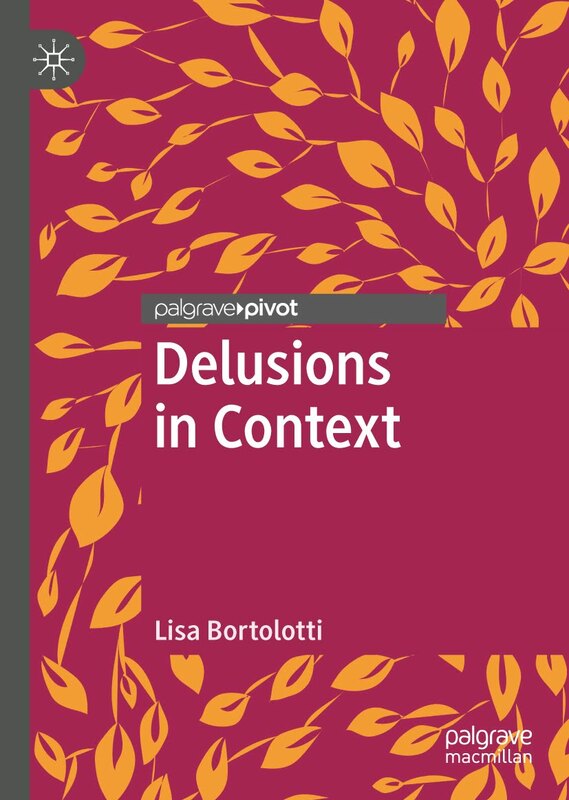 The contributors Richard Bentall, Rachel Upthegrove, and Phil Corlett are well known to our blog readers and have provided original work on delusions in their chapters, telling us about the importance of thinking about delusion in the context of what we already know about belief. Watch the blog for more information! In summer 2019 we plan a bigger celebration to coincide with the Arts and Science Festival. We hope to showcase some art that addresses issues central to mental health and our understanding of the world, starting from the beautiful and moving artwork by our ex-team member Magdalena Antrobus, now a successful full-time artist! 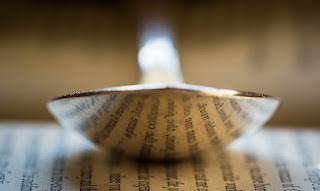 In terms of research, I am planning to write about the epistemic responsibility we have when we consume stories that are used as arguments in public debates, with Sophie Stammers and Anneli Jefferson. I am also interested in exploring further the literature on choice blindness with long-term collaborator Ema Sullivan-Bissett, and finally completing work on my Epistemic Innocence monograph. A busy year! The blog has been and will continue to be a very important part of the project, and a straight-forward way to bring our work at PERFECT out of our offices and seminar rooms and into the world. If you have any feedback or comments on what you have read on the blog, especially about the project but also more widely, please let us know. We would like to know whether the views we argue for ring true to you given your experience or knowledge, and whether you think there are relevant areas of inquiry that we should approach next! You can leave a comment below or email us.